1958 Fender Champ (5F1) w/ shipping box - Museum Grade! This is something you NEVER see. 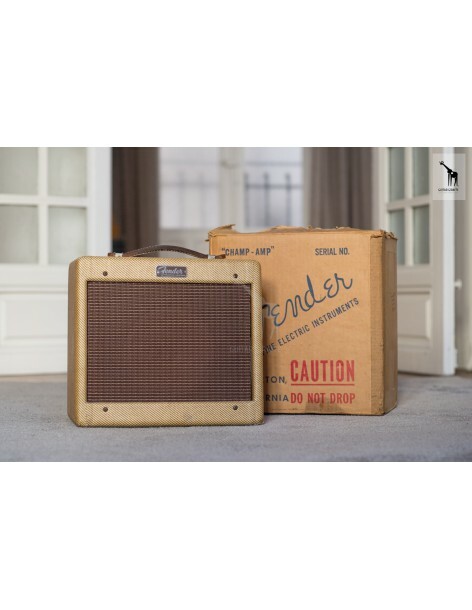 A 100% original NOS-condition 1958 Fender Champ 5F1 in tweed, with an original Fender shipping box. Find another.